This guide about trapping moles is designed to do one thing…..teach you everything you need to know about removing moles from your lawn, garden or outdoor space. Moles are destructive to your lawn they can drive you absoulutly crazy. We've all been there before. You go to bed one night and your yard looks fine, but you wake up the next morning and find tunnels running everywhere! Where did they come from? Have they always been there? Determining you have a mole problem is easy……just look at your lawn. The confusing part for most homeowners is how to remove them. Here's the good news! Mole removal doesn't have to be hard and it's actually pretty easy if you follow a few simple steps. The links in this guide will teach you everything you need to know to take back your lawn and keep it looking great and mole free. Before we dive right into trapping and prevention techniques, it's important to learn a few mole facts first. Moles are mammals from the Talpidae family which includes moles, shrew-moles and desmans. They have a tubular shaped body with short velvety hair and their eyes and ears are nearly invisible. Eastern Mole - Also called the common mole, the eastern mole can be found throughout the eastern United States. Star-Nosed Mole - Found in eastern Canada and the northeastern United States, the star-nosed mole is easy to identify due to the 11 pairs of fleshy appendages around it's nose. European Mole - Also known as the northern mole or the common mole, they are found throughout Great Britain and parts of Russia. American Shrew Mole - Also called the Gibb's shrew mole or least shrew mole, it's the smallest North American mole. They can be found in the northwestern United States and southwestern British Columbia. Mole activity around your home can depend on several different factors. The time of year, food availability and climate changes can all dictate when a mole will show up in your lawn. Have you ever wondered what do moles eat? A moles diet is often misunderstood. Earthworms are their primary food source but they will also eat nuts and other small invertebrates found in the soil. 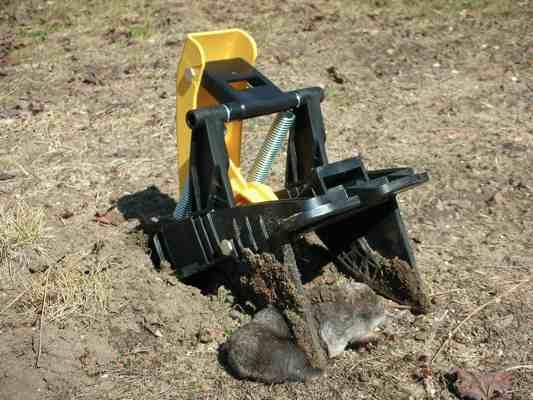 Getting rid of moles by using a mole trap is the best way to control their numbers and reduce their damaging behavior. 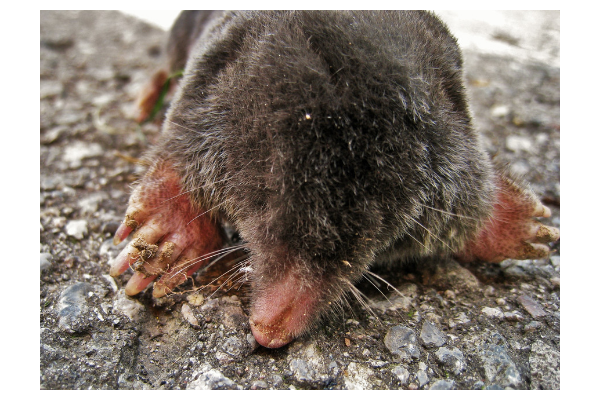 Unfortunately, many people attempt mole extermination by using poisonous baits, harmful chemicals and even copious amounts of water flushed throughout their tunnels. Even though this might seem like a good way to kill a mole, a properly placed trap is by far the most effective and productive way to remove them. If it only takes a simple trap to catch a mole, why is yard mole removal so difficult? Trap selection and placement makes all the difference! Placing your trap in an active tunnel is extremely important. Since garden moles often have several different tunnels running throughout your lawn, finding an active primary tunnel will significantly increase your chances of trapping them. Simply placing a spear style trap on top of a mole mound will not work…..you need to trap the active tunnels! Here's a great article on mole prevention that teaches you how to trap moles and prevent them from coming back. There's a lot of different mole traps and mole repellents on the market today. Mole removal is a big business and there's a lot of different manufacturers that want in on it, but which ones actually work? More importantly, which ones work the best? Finally, if trapping just isn't for you, read our thoughts on the best mole poison. 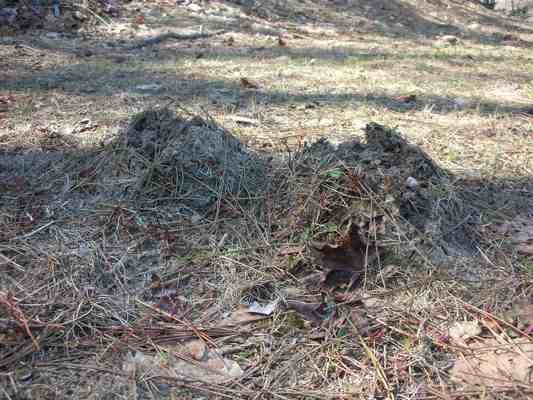 Trapping moles that have invaded your lawn or garden doesn't have to be impossible. With the right traps and a little knowledge you can take back your lawn and get rid of those pesky moles for good!